Soil Surfactants and Soil Penetrants from Geoponics can address all your moisture management needs in soils. The best Soil Wetting Agent on the market today. Green Industry Professionals such as Golf Course Superintendents, Landscapers, Lawn Maintenance and Gardeners are always looking for better ways to utilize water in challenged soil structures and profiles to grow healthier plants (Turf, Ornamental, Vegetables and Fruits). Soil Surfactants assist with better use of water in soil and plants which can mean huge savings on budgeting, plus using less water is good for the environment. Water is not an expendable resource, hence Geoponics Surfactants help water by Penetrating clay soils, increasing moisture in dry soils, draining waterlogged soil, Increasing Soil Oxygen in Hydric Soils and many more soil and water challenges, we have a product that fits your situation. Take a look through our various surfactants, wetting agents and penetrants, view video testimonials or contact us right now so that we can together address your challenges. I HAVE A WATER/SOIL CHALLENGE AND NEED TO ADDRESS IT NOW! Penterra a very fast surfactant and soil penetrant with a very low cost per acre application rates. It moves water through waterlogged soil profiles, loosens up hard clay soils, reduces black layer, aggregates soil, and allows water and oxygen to better reach plant roots by reducing the surface tension between the water and the soil. 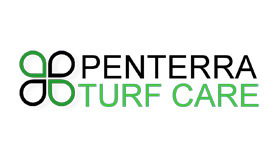 Penterra has many applications for reducing fertilzer, water and pesticides. 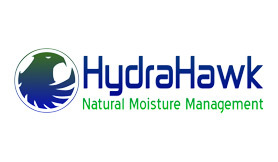 HydraHawk is the product of choice for managing water in soils. HydraHawk is a highly efficient soil surfactant that is fast, concentrated, very economical and best of all made from 100% all natural materials. Now more than ever, turf, horticultural and agricultural managers have to be very conscious of how they are using the water that is available. Try HydraHawk to be more environmentally friendly. 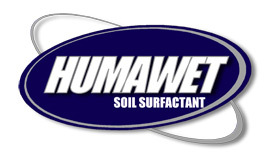 Humawet is a surfactant and high grade soil penetrant and humate that helps with water retention in soil profiles. It assists with loss of water due to winds, water run off, drought, builds organic in sandy soil, and retains water in the plant roots zone while reducing the surface tension between the water and the soil. Humawet is a great product for soil with low organic like new golf greens or sandy soils. 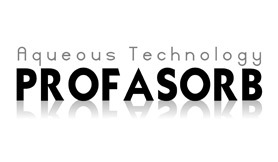 Profasorb is a economical soil surfactant designed for fertigation and irrigation injection applications. It helps reduce crusting, loosens clay soils, aggregates sandy soil, and allows water and oxygen to better reach plant roots by reducing the surface tension between the water and the soil. Profasorb can be injected with various fertilizers containing nitrogen, phosphorous and potassium.